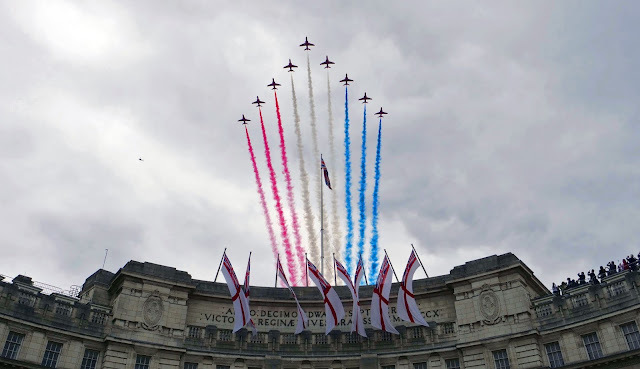 With Airshow season fast approaching, one of our photography tutors, Steve Marley, has been taking a look at how you can make one of the most challenging areas of photography a little easier with a variety of tips and tricks. Read on to learn more! For most air shows, you’ll find that the aircraft will be backlit. In most cases, you’ll find that a little extra exposure will help retain detail in the aircraft. Try Plus 2/3 of a stop and then ensure you review the images as you take them. In conditions where there is a deep blue sky, your exposure may not need adjustment but with a very bright sky it certainly will! Take control of your shot and get away from auto white balance. Daylight / Sunny is great for sunny days and for a little extra warmth, you can use Cloudy white balance. Personally, I shoot with a 5,500K fixed white balance. Continuous AF is highly recommended as your camera will then follow the moving subject maintaining focus as you shoot. If your camera has selectable areas or focusing points, pick an area with a reasonable spread – centre or single point AF runs the risk of pointing at an area with no contrast or missing the aircraft completely, and therefore a spread of points is best. Continuous high-speed drive is a good choice as this allows you to take a rapid sequence of shots. Watch out for your camera’s buffer though and if the buffer is filling too quickly, just drop the frame rate down a bit and this will help. Using the fastest possible memory card and turning off anything that will affect frame rate will also help (things like D-lighting, Lens optimiser, auto-distortion control etc). Many cameras will handle much better using a battery grip and in some cases the battery grip will also boost performance and drive speed (Fujifilm grips and Nikon MB-D18 for the D850 for instance). Your shutter speed is very important for aviation photography, so I would recommend you use Shutter priority/TV mode. For a greater sense of movement, a relatively slow shutter speed combined with panning your camera (following the subject keeping it in frame and then firing the shutter but continuing to follow the subject after the shutter has fired) will give best results. For propeller aircraft, anything faster than about 1/500th will generally freeze the propeller blades so 1/500th or slower is recommended. For a full circle of propeller blur you will need to use around 1/250-1/80th of a second. For jets which move considerably faster, you can up your shutter speed to at least 1/1000th for best results. You don’t have to fill the frame with the aircraft. If there are interesting cloud formations in the background then make use of these in your composition. Looking at the display line, I would recommend you shoot from the end 1/3 at either end and not the middle. This way, you will have the chance to shoot aircraft taking off and landing and more importantly banking as they come round to the display line so you can capture them at their best. 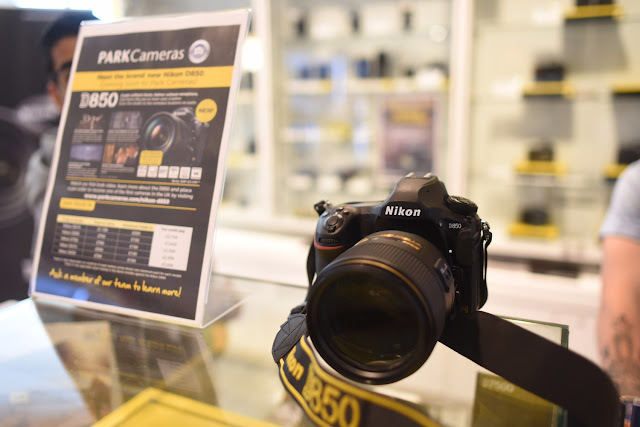 DSLRs such as the Nikon D500 or Canon EOS 7D Mark II are great for aviation as they offer a 1.5/1.6 crop factor so a 200mm lens gives the angle of view of a 300/320mm so it is easier to fill the frame. Mirrorless options include the superb Sony A9 with its amazing focusing and drive systems and no-blackout viewfinder. The Panasonic LUMIX G9 and Olympus OM-D E-M1 Mark II are also great choices as are the Fujifilm X-T2 and X-H1. As for lenses, something like a 100-400mm lens is ideal on a crop-sensor camera, 100-300mm on a Micro 4/3 and 150/200-500/600mm ideal on Full-Frame cameras. 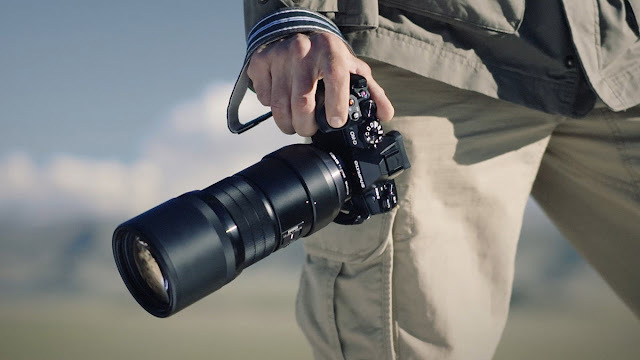 Obviously, it depends how close you can get to your subject and how much of the frame you want to fill to determine which lens will suit you best. Airshows have a lot going for them apart from the air-show itself! There are normally flightline walks where you can get close-up to the aircraft and at Farnborough especially there are lots of static displays where you can get a close-up view of the technology. Re-enactors often make an appearance as well as music acts etc – all great subject for your camera! Drive: high speed continuous – use a battery grip too. Composition: don’t have to fill the frame – use clouds! If you’re interested to learn more about Aviation Photography, why not consider attending our ½ day workshop at our store in Central London? 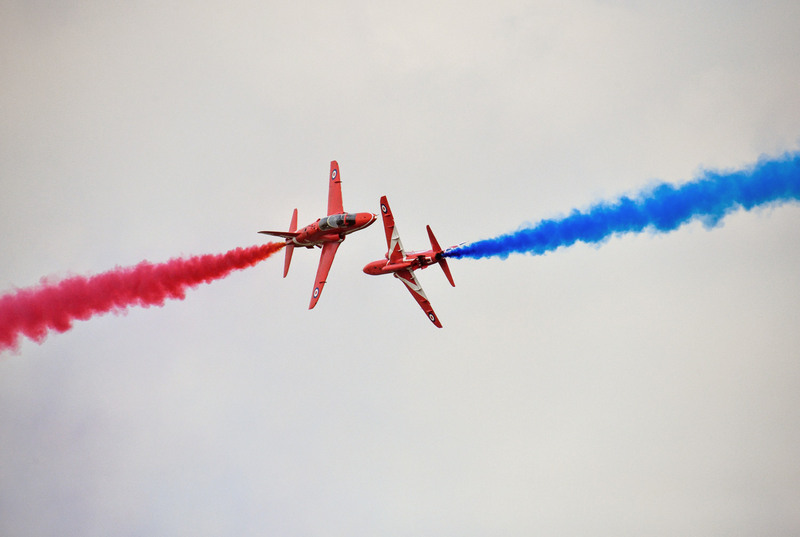 We hold these events regularly and are a great way to learn some new tips prior to visiting an Airshow or Air Display. Learn more at www.parkcameras.com. In 2018, you’ll find Park Cameras at the Farnborough Airshow (21st – 22nd July) and Eastbourne International Airshow (16th – 19th August) with a variety of Airshow only special offers! Learn more and find out how you can get your tickets at www.parkcameras.com/events. Want more Tips and Inspiration? See our latest posts HERE! Sorry, I ought to have mentioned Steve Marley, as author. Thanks for your feedback Roger, glad to hear you found them useful, do let us know if you get to try them out! Great to get such a concise but very useful article covering the key points. Thank you. Great to get such a concise and useful article covering all key points. Thank you. I have recently used my Panasonic FZ1000 bridge camera at Shuttleworth and Duxford on lots of propeller aircraft. Zoom is fine (25-400) but focus whilst panning (AFC, burst) has produced a highly erratic and variable hit rate. Any pointers? 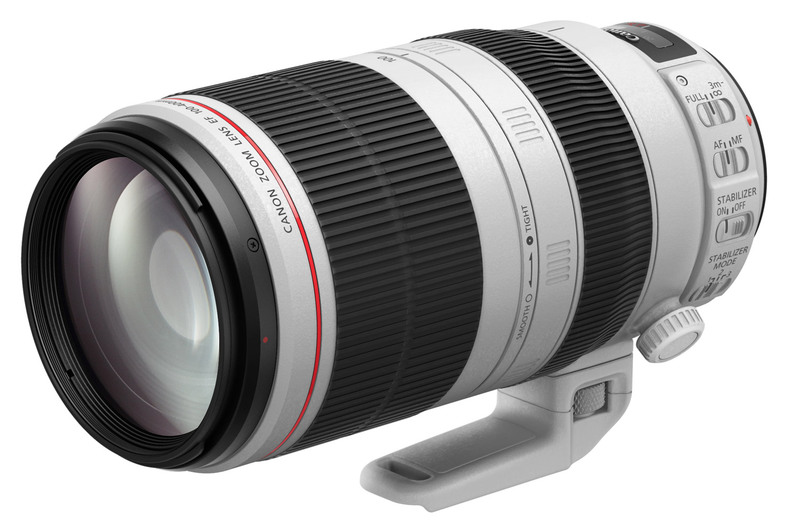 I am tempted by G9 plus 100-400 lens but this would be a huge investment leap. Justified? Thanks Malkay! Regarding the FZ1000, it's worth checking that you are using the tracking mode in conjunction with AFC. Cameras do have their limits though, so even the best will be a bit hit and miss at times. The G9 with that lens are a totally different proposition from your bridge camera - expect more processing power plus the rest! Whether it's justified depends on your circumstances, but of course we'd say that certainly isn't a bad shout!